2.6 Petrol - 5 Speed Manual - Pair Of Rear - Left & Right - In good condition. This part was removed from a Right Hand Drive Vehicle. Compatibility is a guide only. Your item will need to be signed for. 2 X NEW REAR SHOCK ABSORBER PROTECTOR BUMP STOP KITS. Mazda 2 (DY) 1.6 04/03-. Mazda 3 (BK) 1.6 DI Turbo 01/04-04/08. Mazda 3 (BK) 1.6 01/04-04/08. Mazda 3 (BK) 2.0 01/04-03/08. Mazda 3 SALOON (BK) 1.6 DI Turbo 01/04-04/08. 2.6 Petrol - Manual - Left - In good working order. This part was removed from a Right Hand Drive Vehicle. Compatibility is a guide only. Your item will need to be signed for. Other Details. TRIM LEVEL. 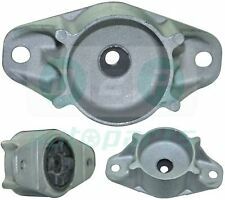 FITS TO : MAZDA BT50 PICK UP 2.5TD (08/2006 Onwords). 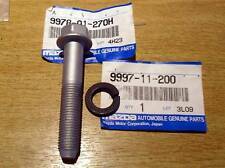 FITS TO : FORD RANGER PICK UP ER61 - 2.5TD / ER69 - 3.0TD (08/2006 - 2011). Mazda 6 2013 On Shock Absorber Front LH. MAZDA 3 MK3 BM 2016 PASSENGER SIDE FRONT SHOCK ABSORBER DAMPER LEG. Mazda 6 2008 To 2012 Shock Absorber Front LH. Mazda 3 2016 On Shock Absorber Front LH. Mazda 3 2014 To 2016 Shock Absorber Front LH. This is a Set Of ProDrive Bilstein Springs & Shocks removed from a 2006 Mazda RX8. Our ELV Permit Number is CP3995HL. Código interno: 668478. Referencia : GR1L34900A. Wir können es überprüfen. Nous pouvons le vérifier. Kit bilstein - B6 - MAZDA 6 Hatchback, Wagon(GG, GY) - 24-102568 24-102575 24-102582. Check the car list for part compatibility.